1. 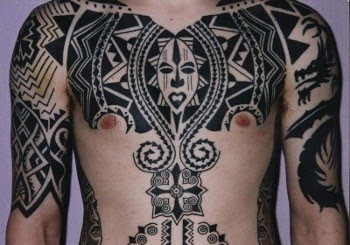 There are some African tribal tattoo designs that are drawn to give the wearer protection from dangers. The pattern usually depicts an image that is expected to guard the person from harms throughout life. 2. African tribal scarring did not originate just as body decoration art form. They were drawn so that the wearer can take on a supernatural state, representing qualities that supersede human abilities. 3. The origin of African tribal scarring/tattooing body work dates back to 2000BC. The first few revelations depicted images of Egyptian High Priestesses with tattooed arms. 4. There is a specific African tribal scarring called cicatrisation. It is done by people with too dark skin tone for regular tattoo coloration to appear.